Сейчас идет снег в Chatel ?Thank you! Chatel, in France (in the Haute Savoie region and part of the Portes du Soleil ski area) is a large resort with 61 lifts and 83km of piste that offers skiers an incredible 1000 metres (3280 feet) of vertical descent. 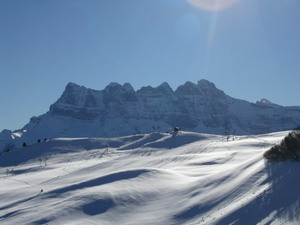 Chatel has 73 pistes with a total length of 83km kilometers. 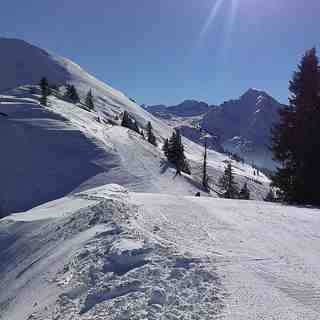 Chatel is great for beginner skiers and snowboarders but there is some superb terrain for both expert and intermediates. 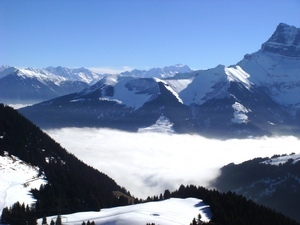 Chatel has easy links to Avoriaz and the Swiss resorts Torgon and Morgins plus the whole of the Portes du Soleil. 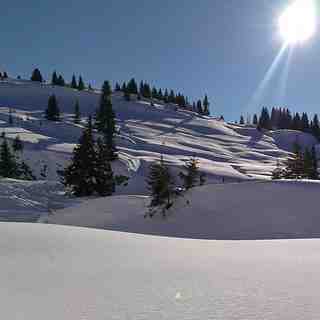 There are 49 kilometers (31 miles) of cross country ski trails at Chatel. For snowboarders, there is a terrain park and boarder cross track. The nearest airport is at Geneva and the nearest train station to Chatel is at Monthey. So many nice things to say about Chatel. I've been coming here for several weeks a season for 18 years and the skiing has always been very good. There's a piste for everyone and plenty of off-piste opportunities too. The village is typically alpine with only a few monstrosities in terms of apartment blocks. Lots of new developments have created pressure on infrastructure but only at very busy times. There are buses to the ski areas and around the village. If you must use the car then get out early to Pre la Joux during New year and February holidays. I have even driven up there first thing and come back to the village for breakfast before going skiing so the transport back to the village is not dependent upon very busy buses. If you go out at 10.30 and then don't complain there's insufficient parking! 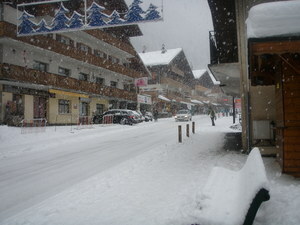 Compared to 3 Vallees and Tignes it is quaint and much, much cheaper. I was in Meribel last week and restaurant prices were 30% higher there. Lots of different nationalities make Chatel interesting and everyone is welcoming in the shops and cafes. I'd say keep an eye on the weather because even at 1200m you can get caught out with snow conditions. If you don't have winter tyres and chains you will look an idiot. I say this as it is dumping down today and the roads are treacherous.